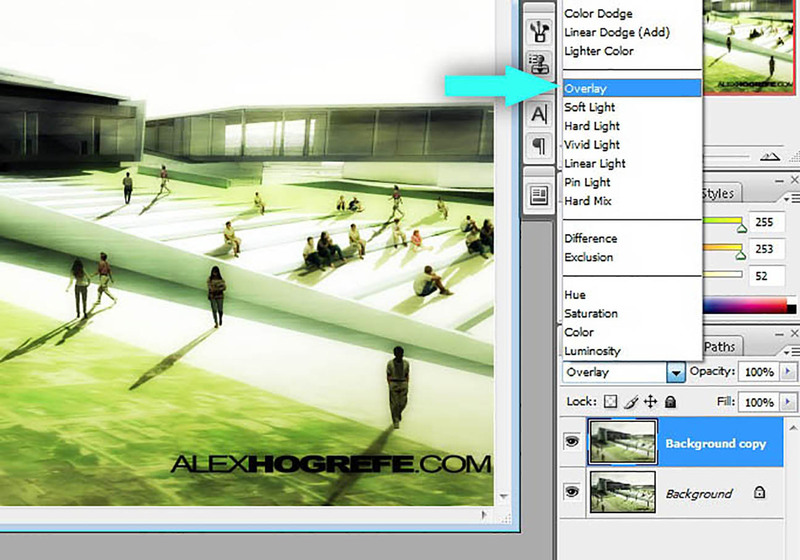 As with many of the other tips in this series, this tutorial adds a last minute “kick” to an architectural illustration. What is nice about this process is that the contrast is increased, but at the same time, the sharpness is decreased providing an interesting final outcome. 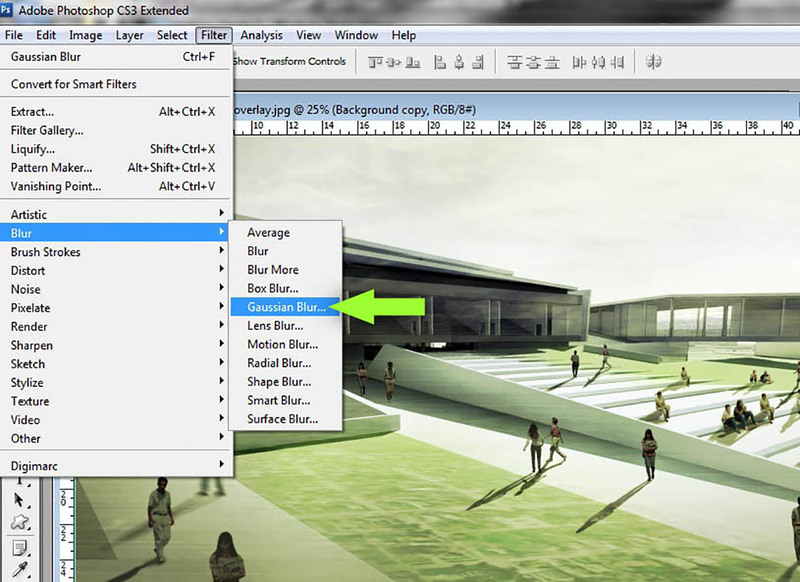 Begin by opening the image in Photoshop. The original image that I will be using is below. 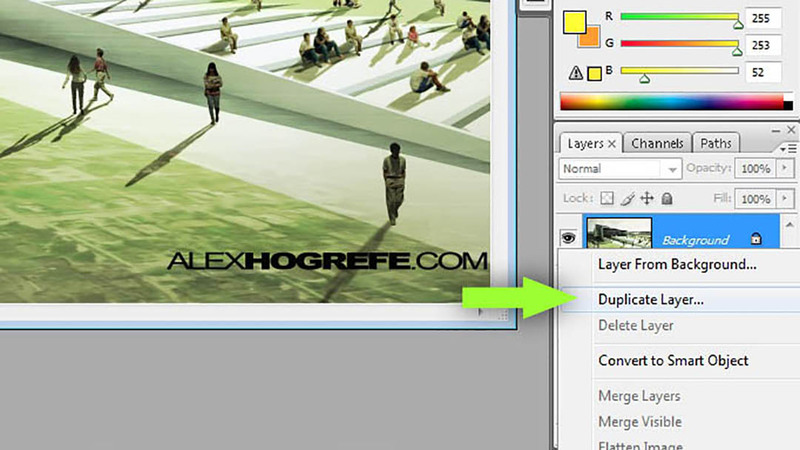 Adjust the opacity of the layer if the effect is too strong. Easy do to, strong do show, that's the cat´s jump. Thanks for your great tutorials Alex. Would you please explain or put a tutorial of how you made the grass in above photos. i severely need it, specially for huge site plans. THANK YOU !!!!!! LOVE THE TIPS !!!!! How did you get the colors to be like that on the original image? I used some subtle color overlays and vignetting. You are an awesome person… thanks for your time!!! 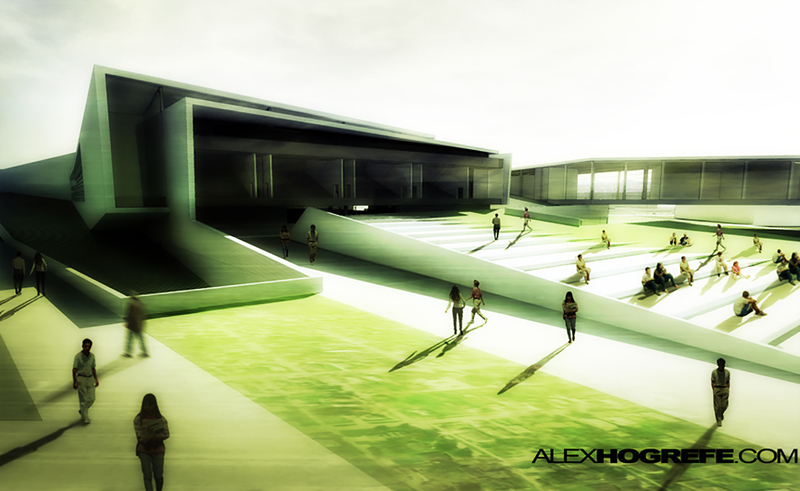 you've made the picture look over contrasted with too much green and even some of the architectural details are lost. this did not help the photo whatsoever. These are wonderful tips for image softening that will be useful to me. I am learning Photoshop and it is interesting and there is a lot of things to do. It is a wonderful experience and I am trying to implement it. Your tutorial has helped me and thanks for this interesting tip. Keep providing useful tips. Thanks for sharing your tutorials!!! Effective and easy to follow! 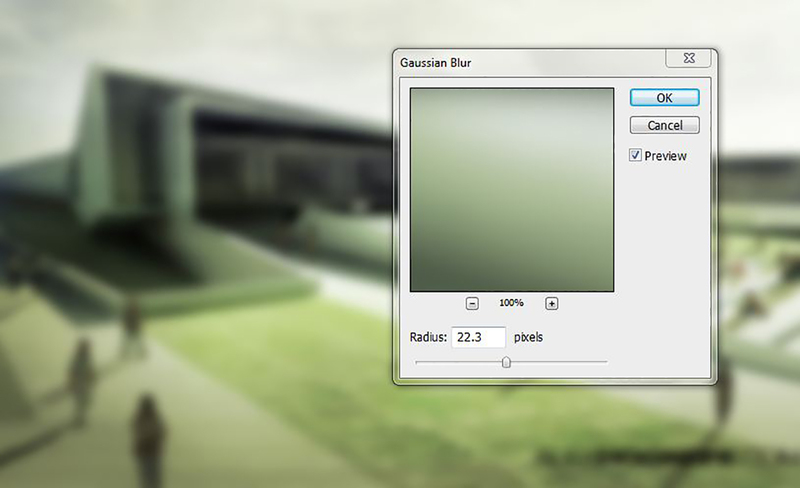 Great … this trick made my render beautiful ! Thanks a lot !!!!!!!!!!!!!!!!!!!! little staps make great progress. Ohh OK! Now I know how to do Image Softening….Thank you for the information! Thanks for your time mr.Hogrefe.